RED NOSE DAY – FANCY DRESS DAY! 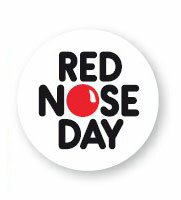 Home » News » Events » RED NOSE DAY – FANCY DRESS DAY! MC Personnel dressed up for fun on Friday 15th March 2013!! And with your help we raised £210.86. Throughout the day we posted photos on our Facebook and Twitter pages, so please log on and have a look – we have posted a few below! Thank you once again for all your help! Your donations will help change the lives of people in the UK and Africa!